Fall is a perfect time to get outside and enjoy the crisp Buena Vista air and golden leaves. The autumn colors typically peak in Mid-September and run through the end of September or early October. The aspen trees in high elevation peak first, while some of the lower elevation groves and cottonwoods along the Arkansas River follow a couple weeks later. While Cottonwood Pass is closed until the summer of 2019 you can still access Cottonwood Hot Springs, Cottonwood Lake, Cottonwood Lake Campground. This area is awe-inspiring during the fall season. There are numerous hikes, awe-inspiring 4WD trails, fishing and camping (see links and info below). Directions: In the town of Buena Vista at the intersection of U.S. 24 and Main Street, turn onto West Main Street which becomes County Road 306. Cottonwood Lake Campground: Cottonwood Lake Campground is a very popular site for campers, as well as anglers. Campsites fill up quickly on weekends. This facility has 25 campsites. For more info click here. Colorado Trail: Crosses County Road 344 (the road to Cottonwood Lake) and County Road 343 and heads south. It merges into Segment 13 North Cottonwood Creek to Chalk Creek. It traverses the base Mt. Princeton. Side attractions include Mt. Princeton Hot Springs and Agnes Vaille Falls. This is a great trail for hikers and mountain bikers. Green Timber Gulch Hiking Trail: Trail: 5.3 miles round trip to Poplar Gulch Trail Pass. Starting elevation: 10,300’ Elevation decent: 1,935’ Difficulty: Moderate. For hiking instructions click here. Cottonwood Lake is another beautiful location to experience autumn. The glistening water, Colorado sunshine and gorgeous scenery at Cottonwood Lake make it a great escape for a picnic lunch, stroll around the lake, fishing trip, or a canoe or kayak trip. Cottonwood Lake is in the same direction as Cottonwood Pass. From the stoplight in downtown Buena Vista, head west and stay on West Main Street/County Road 306 for about 6 miles. Turn left on Country Road 344 (there will be a sign that indicates Cottonwood Lake) and continue for a little over 3 miles until you reach the lake. Aspen Ridge is sure to take your breath away during the peak of the fall season, which typically takes place mid to late September. The yellow and orange aspen leaves fill the whole area with a golden hue and, coupled with the intensity of the Colorado blue sky, results in incredible views. To reach some of the best Aspen groves, you will need a high clearance vehicle, with 4-wheel drive recommended. 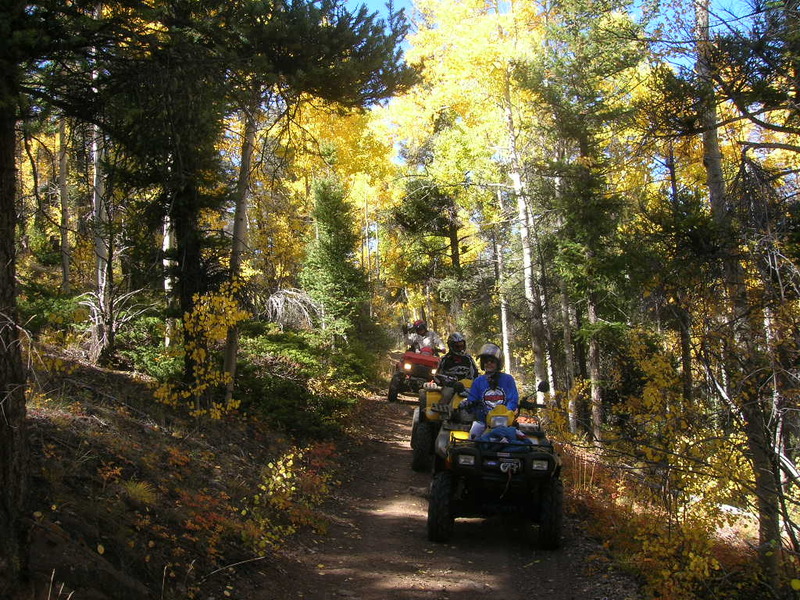 Aspen Ridge is also a popular area for ATVs, Jeeps, UTVs and dirt bikes. From Buena Vista, travel south on Highway 24 until you reach a traffic light, turn left onto Highway 285 North, and travel for about 6.4 miles. Next, turn right onto County Road 307 (1.6 miles), turn right onto County Road 187 (5.8 miles) and then turn right onto County Road 185. Follow County Road 185 to the clearing where you can see the Collegiate Peaks and enjoy the bright foliage. If you want a spectacular view of fall foliage within walking distance from downtown Buena Vista, explore the trails on Midland Hill. At the end of East Main Street, you’ll find the Buena Vista River Park. Bear left and turn into the parking lot, and you’ll see signs for the Barbara Whipple Trail System. Midland Hill is across the river, and you can access trails by crossing the footbridge. From the trails, you’ll be able to see all of downtown Buena Vista along with spectacular views of the Collegiate Peaks. Annually the Buena Vista, Colorado Chamber of Commerce hosts a community charity event called the “Historical Color Tour”. Participants from around the country come to this off-road rally and mountain festival to visit the area’s old mining sites and ghost towns on self-guided OHV tours. 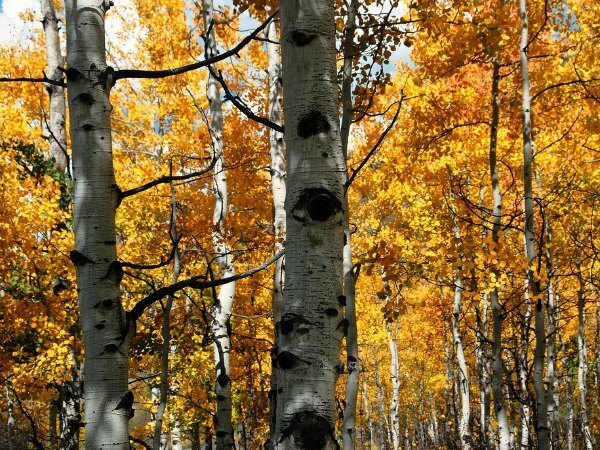 Ride to near the top of a 14,000 foot mountain, cross the Continental Divide, and take in the fall colors as the Aspen trees change to “gold”.